Pure Jazz Vibes is something I've wished for a long while--a truly warm, vintage instrument, impeccably sampled that exudes character and attitude. The mic positions make placing it in various instrumental groupings and mix spaces a breeze. The tone gives it a leg up on many others I've used before, and I look forward to using this in my palette for many years to come! 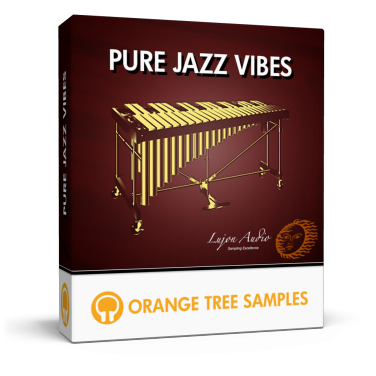 Ah....Pure Jazz Vibes is exactly how vibes should sound! Love the vibe of the vibes! Thanks for another great product! 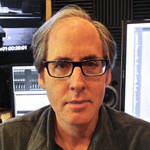 The vibraphone recording session was engineered by Michael Aarvold at the WaterSound Productions studio in the heart of Studio City, California. Regarding the choice of WaterSound's studio to record the vibraphone samples, Michael says, "It has an exceptionally well-designed live room: the room maintains life and air in the sound, yet doesn't superimpose a distinctive and undesirable sonic signature. 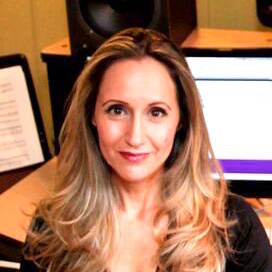 It is also extremely quiet, which is very important when recording delicate textures and maintaining a room aspect to the sound." We always aim to recreate the playability of the real instrument as closely as possible, which is why we included a "vibraphone" play mode that uses your keyboard's sustain pedal to mimic the vibraphone's pedal. That way you can use your sustain pedal to switch between the tines being muted or unmuted. That being said, we also included a "keyboard" play mode, which lets you play the vibraphone as if it were a piano--the notes automatically muting when you release keys, unless you use the sustain pedal to let them ring. One quintessential element of vibraphone playing is the tremolo fan. When enabled, these fans rotate, closing and opening the tops of the resonators to alternate between an open and muted tone. 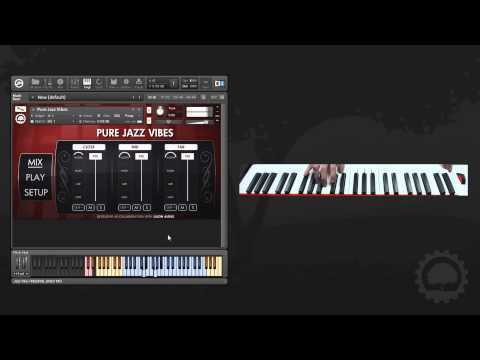 Pure Jazz Vibes uses advanced scripting to model the fan movement and produce ultra-realistic tremolo. There's also a technique that expert vibraphone players use that we've never seen available in any other vibraphone sample library: mallet mutes. Mallet mutes, which we included in Pure Jazz Vibes, are when the vibraphonist uses the mallet to press a ringing tine in order to mute it. One application is to change chord tones in a ringing chord. To accomplish this, the vibraphone player would sustain a chord, then mute one of the tines while playing the replacement tine simultaneously. 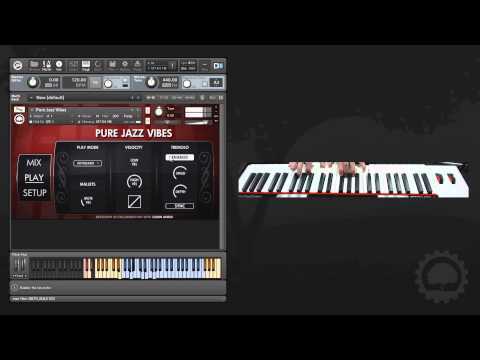 There is a free playable demo version of Pure Jazz Vibes available for you to try. Other than the range being limited, and round-robin being limited to 2x, there are no other demo restrictions. This product requires a total of 5.7 GB of free disk space in order to download and install the sample library. The total size of the download is 2.6 GB, and after installed the library occupies 3.1 GB.